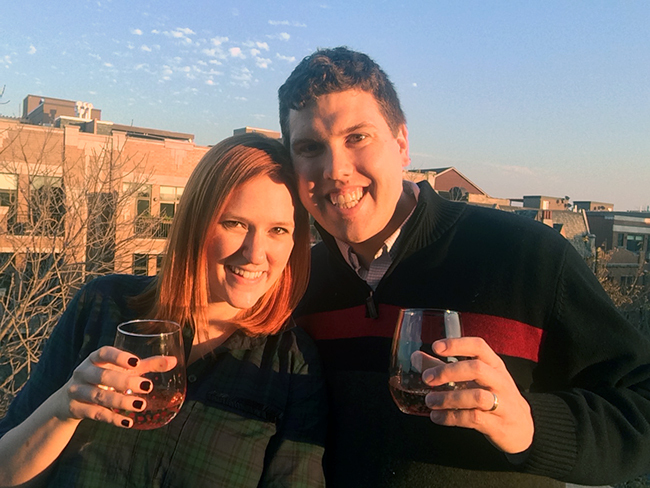 Kristina does the Internets: We bought a house! We actually put in our offer on the place way back at the beginning of September. I was convinced something was going to fall through so I held off on posting about it, but yesterday we signed all of the papers and got the keys and now it's ours! We ran over yesterday to pop a bottle of champagne and do a little celebrating. 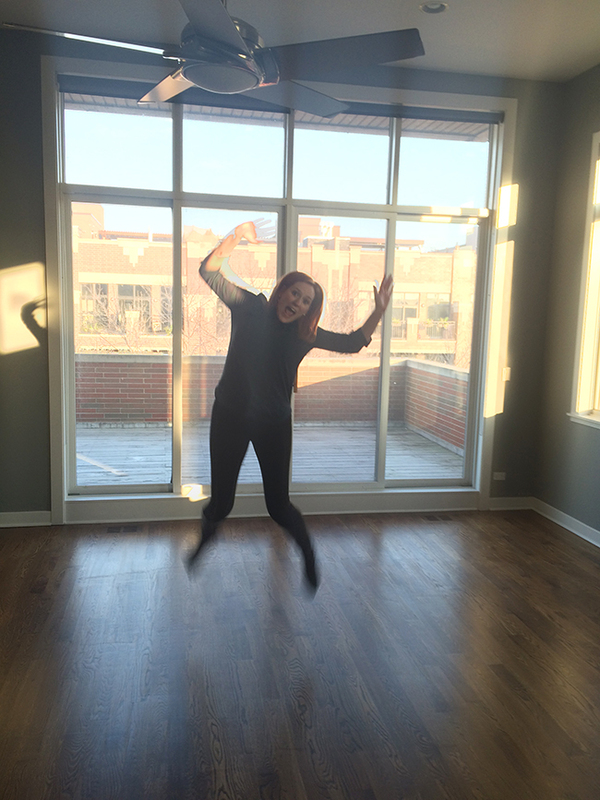 The condo is on the north side of Chicago and is on the top two floors of a building, plus we have the whole roof which we plan to deck out come spring. It's a bit of a funny layout, I've been describing it like a split-level house because there are half levels and stairs all over the place. I actually tried to do a little video tour of the place last night to share with you guys, but looked at the video this morning and it is terrible (haha whoops) so I'll have to try again. I can't believe we really got it! Move in is next week - eeeee!! !